As summer comes to a close, we are excited about resuming old ministries and launching a few new ones! Rather you're young or old, single or married, a young parent or an empty nester, our hope is that you will find a ministry area that helps you grow in your walk with the Lord. Make plans to join us this Fall; there's something for everyone! This year the student ministry has made a big commitment to two important programs that we believe will help families and the church win the hearts of students. The two programs are Phases and Lead Small. Both are from the company Orange and focus on the power of connecting the church and the family. Phases focuses on the developmental life stages of students from newborn to 12th grade. This year we want to partner with parents and leaders to better understand each student at the phase of life they're in so that we can better influence their hearts. Lead Small focuses on the power of small groups and what happens when caring adults invest in students over a period of time. We believe that small groups are the foundation to all we do at E2, and we want every student to have a leader that is consistently showing up in their lives. As a result of these two programs, we have decided to reformat our programming and structure to better facilitate these ideas. We have created a brand new 5th and 6th grade program for Tweens that will focus on their needs and present a program designed to help them grow in their faith. The Tween program meets on Sunday Mornings at 9:30 on Floor One and will meet at 6:00 on Wednesday Nights with the Awana Group. We have moved our 7th grade students up into the Teen program which meets on Sundays at 11:00 and 6:00 on Wednesday Nights on Floor One. Our second annual E2 Fall Kickoff will be on Sunday, Night September 9th from 4:00-8:00. During this time families will be able to checkout all the events we are doing this year, take advantage of early bird registration for Snow Camp, eat some food, and participate in our second annual dodgeball tournament. This is always a great time to kick the school year off! Please make plans to attend with your entire family! Registration forms for the event can be found on our E2 News page. We believe that one of the best ways to go through life is together! We invite you to check out our many CONNECT Group opportunities that are designed to help you grow deeper in God’s Word and begin connecting with other believers in community and fellowship. Our Sunday morning groups met for an hour during the 9:30 and 11:00am services. Group studies vary--sometime using a book study, other times using a DVD study. Wednesday nights groups are structured a little differently. Each week includes a time of worship, live teaching from Pastor Tim, and a time of discussion in breakout CONNECT groups. September's study will be "The Art of Being Unordinary." Two different Mom's Groups, Sharing Together Learning Together and Side-by-Side, also meet on Wednesday evenings. STLT is a Bible study group and Side-by-Side is a support group for mom's. Women and men's groups also meet on Tuesday and Thursday. If you'd like to learn about our CONNECT ministry and our group leaders, visit our webpage. Awana impacts and shapes the lives of millions of kids and adults worldwide each year by developing lifelong disciples of Christ. The program is centered around the Gospel, Scripture memory, fun, training to serve and built on strong leadership. Programming will be available for children two-years through 5th grade. Awana Clubs resumes September 12 at 6:00pm. For more information, visit our Awana webpage. Face it. We all need a plan for our money. 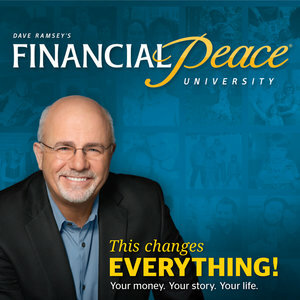 Dave Ramsey’s Financial Peace University will show you how to get rid of debt, manage your money, spend and save wisely, and much more! North will host this Biblically-based training series that integrates video teaching, class discussions, and small group activities. The average family completing the course pays off $5,300 in debt and saves $2,700 in just 90 days. That’s an $8,000 change in position! Cost is just $109.00 per household for all class materials and space is limited. Financial Peace University begins Sunday, September 23th at 9:00am with class facilitator Dr. Greg Ingram. Dave Ramsey will not be in attendance.